October 27, 2010 (KATAKAMI / RIA NOVOSTI) — Russia’s envoy to NATO on Wednesday dismissed reports that Russian troops could be sent back to Afghanistan two decades after the Soviet Union’s Red Army was forced out by U.S.-backed mujahedeen. 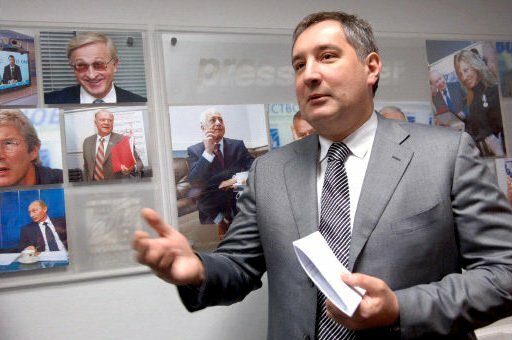 “We’ve already been in Afghanistan and we didn’t like it much,” Dmitry Rogozin told RIA Novosti. The UK newspaper The Guardian said on Tuesday the proposal was on the table ahead of a landmark Russia-NATO summit in Lisbon next month. “Maybe someone wants Russia to supply cannon fodder to Afghanistan,” Rogozin went on. The Soviet Union was involved in a bitter decade-long conflict in Afghanistan from 1979 to 1989. A million Afghan civilians and fighters are estimated to have lost their lives during the fighting. Some 15,000 Soviet soldiers also perished, and the return of Russian soldiers to the country would also be extremely unpopular in Russia. The war had a profound impact on the Soviet Union, and has been cited as one of the key factors in the collapse of the Soviet Union in 1991. Russia is competing for a U.S. tender to supply Mi-17 helicopters to Afghanistan. (KATAKAMI) – A bomb attack inside a mosque killed the governor of Afghanistan’s northern Kunduz province and 15 others as they attended Friday prayers, the local police chief said. The attack on governor Mohammed Omar happened in neighbouring Takhar province, where he had a home. At least 20 people were wounded. 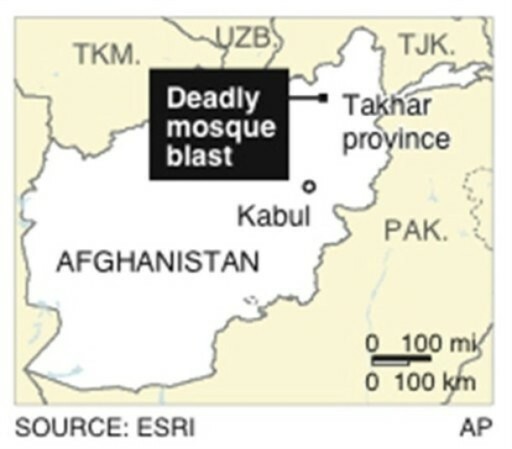 “The situation is chaos, we do not know whether it was a suicide attack or whether the bomb was already planted in the mosque,” Shah Jahan Noori, police chief for Takhar province, told Reuters. It was the most serious attack since parliamentary elections last month, when a wave of assaults killed at least 17 people as the Taliban vowed to disrupt polling. The war in Afghanistan, now in its tenth year, is at its bloodiest since the 2001 ouster of the Taliban. The insurgency has spread to northern parts of the country, that until recently were relatively peaceful, from its heartland in the south and east. Attacks during Friday prayers are relatively rare in Afghanistan. In July, a candidate for parliamentary elections was killed by a bomb planted in a mosque in eastern Khost province. More than 2,000 foreign troops have been killed since the war began — over half in the last two years — and U.S. President Barack Obama and his NATO allies are under pressure at home over the increasingly unpopular war. 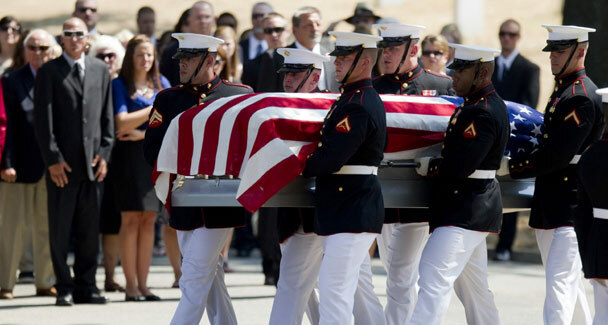 KABUL (KATAKAMI / DAWN.COM) — The number of US soldiers killed in the Afghan war in 2010 is the highest annual toll since the conflict began almost nine years ago, according to an AFP count Wednesday. A total of 323 US soldiers have been killed in the Afghan war this year, compared to 317 for all of 2009, according to a count by AFP based on the independent icasualties.org website. Foreign forces suffered a grim spike in deaths last month as the Taliban insurgency intensified, with Nato confirming on Wednesday that a sixth US soldier was killed on one of the bloodiest days this year. At 490, the overall death toll for foreign troops for the first eight months of the year is rapidly closing in the number registered in all of 2009, which at 521 was a record since the start of the war in late 2001. A total of 80 international soldiers died in the Afghan war last month, 56 of them Americans. In all, 1,270 US troops have lost their lives since the conflict began with the US-led invasion of Afghanistan following the September 11 attacks on the United States in 2001. US President Barack Obama on Tuesday warned that the United States faced a “very tough fight” in Afghanistan, with more casualties and “heartbreak” to come. “We obviously still have a very tough fight in Afghanistan,” Obama told troops in Texas as the United States marked the formal end of combat operations in Iraq. Nato’s International Security Assistance Force (Isaf) confirmed that a sixth US soldier died on Tuesday, killed in an insurgent attack in the south of the country. This followed the previously announced deaths on Tuesday of another five US soldiers, four of them killed in a roadside bomb attack. Twenty-five Americans have died since Friday. Military leaders say the spike in deaths reflects the injection of additional troops into the Afghan theatre, which leads to a higher number of battlefield engagements with Taliban-led insurgents. US General David Petraeus, the commander of US and Nato forces in Afghanistan, said Tuesday that deployments would reach their full strength of 150,000 within days. On Monday, eight Nato troops — seven Americans and an Estonian — were killed in bomb attacks in southern Afghanistan. Icasualties.org is constantly updating its figures as soldiers wounded in battle die of their injuries after they have been evacuated from Afghanistan, sometimes days or weeks later. KABUL, Afghanistan – A NATO spokesman stressed today that military operations to secure vast areas of Afghanistan would not be delayed by the ouster of the top commander in the war and mounting casualties. 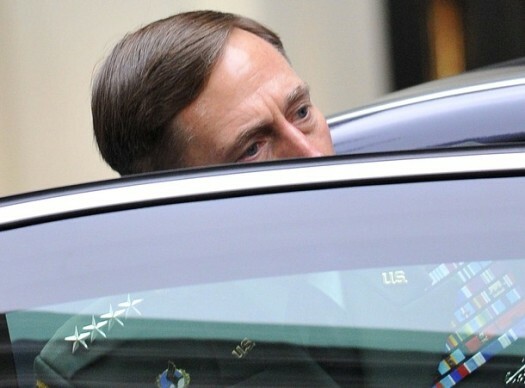 NATO and U.S. forces are continuing their work as they await the arrival of new commander Gen. David Petraeus. He is taking over from Gen. Stanley McChrystal, who was ousted by President Barack Obama after he and his aides were quoted in Rolling Stone magazine making disparaging remarks about top Obama administration officials. There has been concern that the leadership shake-up will further slow a push into the volatile south that has already been delayed by weeks in some areas and months in others. But NATO spokesman Brig. Josef Blotz told reporters in Kabul that the worries are unwarranted and the military is not pausing because of the changes. 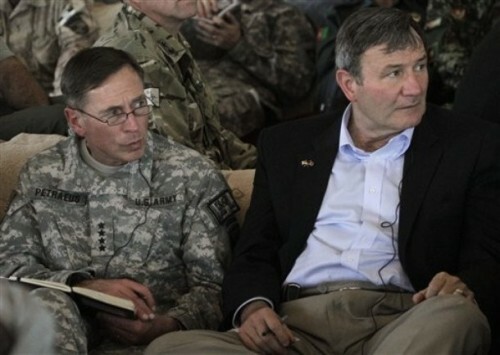 “We will not miss a beat in our operations to expand security here in Afghanistan,” Blotz said, repeating the assurances of many diplomats in recent days that the change in leadership does not mean a re-evaluation of strategy. 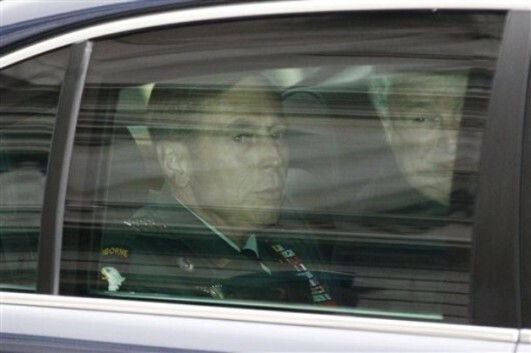 Blotz said Petraeus was expected in Kabul in the next seven to 10 days. Operations appear to be continuing apace, according to NATO statements. Two recent air strikes in the north, east and south killed at least nine militants, including two local Taliban commanders, NATO and Afghan officials said. No civilians were injured, NATO said. NATO deaths also are climbing daily. A U.S. service member was killed in a bomb attack in the south and two others in a firefight in the east on Sunday, said Col. Wayne Shanks, a U.S. forces spokesman. June has become the deadliest month of the war for NATO troops with at least 93 killed, 56 of them American. For U.S. troops, the deadliest month was October 2009, with a toll of 59 dead. Blotz said the deaths do show that the fight is getting harder in Afghanistan, but said that does not affect NATO’s resolve. “We are in the arena. There is no way out now. We have to stay on. We have to fight this campaign,” he said. But Taliban attacks against those allied with the government or NATO forces have also surged. In the latest such violence, the headmaster of a high school in eastern Ghazni was beheaded by militants on Saturday, the Education Ministry said. A high school in the same district — Qarabagh — was set on fire the same day. US soldiers wait to board helicopters in Kandahar, Afghanistan. KABUL, Afghanistan – A military helicopter crashed during an early morning operation in southern Afghanistan on Monday, killing three Australian commandoes and an American service member, officials said. Two other international service members were killed Sunday in separate bombings in the south, NATO announced without specifying nationalities. One of them was an American, according to a U.S. spokesman Col. Wayne Shanks. The crash was being investigated but there were no indications of enemy involvement, NATO said in a statement. The Australian government said three of the dead were Australians, and U.S. Lt. Col. Joseph T. Breasseale said the fourth service member killed was American. Australian Air Chief Marshal Angus Houston said seven other Australian soldiers were wounded, two of them badly. There were 15 people aboard the helicopter, 10 of them Australians, according to Australian Defense Minister John Faulkner. The crash comes in a particularly deadly month for NATO forces. With the most recent deaths, at least 59 international troops, including 36 Americans, have died so far in June. That puts June among the deadliest months for international forces in the nearly nine-year war. The deadliest month so far for the military alliance was July 2009 when 75 troops, including 44 Americans, were killed. The rising death toll underscores the precarious situation for Afghanistan’s international allies as violence has ramped up this summer. The United Nations plans to pull some of its approximately 1,000 foreign staffers from the country in the next three months, according to a U.N. report issued last week. The world body has been facing recruitment and housing problems since it tightened security for staffers in the wake of an attack on a residential hotel in Kabul in October where U.N. election staffers were staying. Five U.N. employees died in the attack. The goal, according to the report, is to reduce the number of U.N. staff in Afghanistan as much as possible without compromising the effectiveness of the mission. The helicopter crashed before dawn in southern Kandahar province, and the operation it had been part of was still ongoing, Houston said. Other coalition helicopters that were part of the same push landed near the downed aircraft and airlifted out the wounded, he said. More details on the operation were not given. NATO has launched a major operation to secure the biggest southern city, Kandahar, capital of the province where the Taliban were first organized in the 1990s. Australia has some 1,500 troops in Afghanistan alongside NATO forces. Monday’s deaths take Australia’s military death toll in Afghanistan to 16. Australia’s 1,550 troops in Afghanistan are based mainly in Uruzgan province, and are mostly involved in training Afghan security forces. 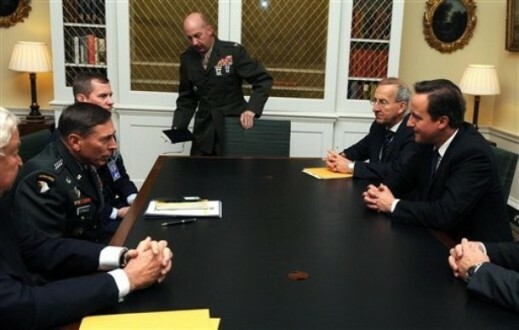 British Prime Minister David Cameron (C) meets British soldiers at Camp Bastion in Helmand Province, on June 11, 2010. Cameron was forced to abandon a visit to a military base in Afghanistan on Thursday due to suspicions that Taliban insurgents might try to shoot down his helicopter. Making his first visit to Afghanistan as prime minister, Cameron earlier ruled out increasing Britain’s troop commitment and called for quicker progress to bring troops home. Britain’s Prime Minister David Cameron (4th L), watched by the Governor of Helmand Province, Gulab Mangal (R), talks to student farmers at Helmand Agricultural high school in Lashkar Gah, in Helmand Province, Afghanistan June 11, 2010. Cameron told troops on Friday they were not in Afghanistan for a “dreamy idea” or to build a model society, and pledged they would leave once Afghans could defend themselves. Britain’s Prime Minister David Cameron (C) speaks to British forces at Camp Bastion in Helmand Province, Afghanistan June 11, 2010. Cameron told troops on Friday they were not in Afghanistan for a “dreamy idea” or to build a model society, and pledged they would leave once Afghans could defend themselves. On his first trip as prime minister to meet British troops in southern Afghanistan, Cameron said the new coalition he heads had a clear mission — defending Britain’s national security from the threat of attack by al Qaeda. British Prime Minister David Cameron (C) reads out a message to British soldiers from England national football coach Fabio Capello, describing them as the ‘real heroes’, during a visit to Camp Bastion in Helmand Province, on June 11, 2010. Cameron was forced to abandon a visit to a military base in Afghanistan on Thursday due to suspicions that Taliban insurgents might try to shoot down his helicopter. Making his first visit to Afghanistan as prime minister, Cameron earlier ruled out increasing Britain’s troop commitment and called for quicker progress to bring troops home. British Prime Minister David Cameron (C) meets British soldiers working in the post office at Camp Bastion in Helmand Province, on June 11, 2010. Cameron was forced to abandon a visit to a military base in Afghanistan on Thursday due to suspicions that Taliban insurgents might try to shoot down his helicopter. Making his first visit to Afghanistan as prime minister, Cameron earlier ruled out increasing Britain’s troop commitment and called for quicker progress to bring troops home. British Prime Minister David Cameron (R) tries a metal detector, used for finding IEDs planted by the Taliban, at Camp Bastion in Helmand Province, on June 11, 2010. Cameron was forced to abandon a visit to a military base in Afghanistan on Thursday due to suspicions that Taliban insurgents might try to shoot down his helicopter. Making his first visit to Afghanistan as prime minister, Cameron earlier ruled out increasing Britain’s troop commitment and called for quicker progress to bring troops home. Britain’s Prime Minister David Cameron, centre, operates a metal detector, used for finding IEDs planted by the Taliban, at Camp Bastion in Helmand Province, during his two day visit to Afghanistan, Friday June 11, 2010. British Prime Minister David Cameron has breakfast with British soldiers at Camp Bastion in Helmand Province, on June 11, 2010. Cameron was forced to abandon a visit to a military base in Afghanistan on Thursday due to suspicions that Taliban insurgents might try to shoot down his helicopter. Making his first visit to Afghanistan as prime minister, Cameron earlier ruled out increasing Britain’s troop commitment and called for quicker progress to bring troops home. Britain’s Prime Minister David Cameron, centre, has breakfast with British soldiers, at Camp Bastion in Helmand Province, during his two day visit to Afghanistan, Friday June 11, 2010. British Prime Minister David Cameron (5th L) goes for an early morning run with British soldiers at Camp Bastion in Helmand Province, on June 11, 2010. Cameron was forced to abandon a visit to a military base in Afghanistan on Thursday due to suspicions that Taliban insurgents might try to shoot down his helicopter. Making his first visit to Afghanistan as prime minister, Cameron earlier ruled out increasing Britain’s troop commitment and called for quicker progress to bring troops home. British Prime Minister David Cameron (2nd R) goes for an early morning run with British soldiers at Camp Bastion in Helmand Province, on June 11, 2010. Cameron was forced to abandon a visit to a military base in Afghanistan on Thursday due to suspicions that Taliban insurgents might try to shoot down his helicopter. Making his first visit to Afghanistan as prime minister, Cameron earlier ruled out increasing Britain’s troop commitment and called for quicker progress to bring troops home. 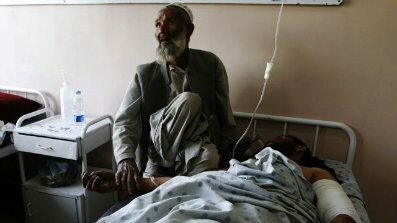 June 10: A father comforts his injured son at a hospital following a blast at wedding party in Kandahar city, Afghanistan. ( FOX NEWS / AP) KANDAHAR, Afghanistan — A homicide bomb ripped through a wedding party in full swing in the Taliban’s heartland in southern Afghanistan, killing at least 40 people and wounding dozens more, officials said Thursday. The blast occurred late Wednesday in a housing compound where men had gathered during the festivities, with female guests at a different house that was not hit, one witness said. Interior Ministry spokesman Zemeri Bashary said children were among the dead and wounded. The family that was attacked included a number of Afghan police officers. The groom’s brother and two of his cousins were in the police force, according to another cousin, Mohammad Alkozay. The groom survived the attack, but was injured. It occurred in Nadahan village in the Argandab district of Kandahar province, considered the spiritual home of the Taliban, and the focus of an upcoming U.S. military operation. Bashary said the explosion hit the wedding party about 9 p.m., and that it was a homicide attack. He said at least 40 people were killed and 74 were wounded in the blast. The bride and groom survived. Agha Mohammed, who survived the blast, said the guests were all seated and having a meal when the explosion occurred, sending a huge fireball and smoke into the sky. He said the scale of the destruction caused by the blast was more than was common in a homicide attack. “We have experience with war and this does not look like a homicide bombing,” Mohammed said. At a news conference in Kandahar city, provincial Gov. Tooryalai Wesa held up a chunk of metal he said was from the site and described it as a piece of equipment usually used in homicide bombs. He rejected the Taliban’s denial of involvement in the attack. NATO condemned the attack and said it would help Afghan police investigate the cause. “This ruthless violence brought to the Afghan people at what should have been a time for celebration demonstrates the Taliban’s sickening and indiscriminate tactics to try to intimidate the citizens of Afghanistan,” said Lt. Gen. Nick Parker, the deputy commander of NATO forces, in the statement. President Hamid Karzai’s office condemned the attack in a statement and called for a thorough investigation. Nadahan is a farming community on the northern border of Kandahar city. The surrounding district is a major route for insurgents to enter into the city — the commercial hub of the south. NATO forces have been battling insurgents in Argandab for months in an attempt to gain control of the area and it is expected to be a focus of a summer push to squeeze the Taliban out of the area. Insurgents have often targeted civilian government officials and police in areas under their control and use violence on civilians to intimidate them. On Wednesday, the Taliban hanged a seven-year-old boy in public in Helmand province, neighboring Kandahar, for alleged spying, a local official said. And in Spin Boldak district, insurgents dragged a local council member, Amir Mohammad Noorzai, from his house on Wednesday evening and shot him to death, said Zalmai Ayoubi, a Kandahar provincial government spokesman. Violence has spiked in Afghanistan this month, with the Taliban stepping up attacks as U.S. commanders gear up for a major operation to clear Kandahar that Washington hopes will be a turning point in the nearly nine-year-old insurgency. At least 17 U.S. service members have been killed in the past four days, including the four Americans who died Wednesday when insurgents in southern Helmand province’s Sangin district — one of the most volatile in the country — shot down a NATO helicopter. A total of 29 NATO troops have been killed this month, including 10 on Monday alone — seven of them Americans. It was the deadliest day for the military alliance in seven months. KABUL, Afghanistan – Security forces battled insurgents including at least one suicide bomber outside a national peace conference just as President Hamid Karzai opened the three-day meeting Wednesday in the Afghan capital. A NATO spokesman said several insurgents were shot near the venue, and Afghan police said a suicide bomber detonated explosives, killing himself. There were no immediate reports of other casualties in the fighting, including among participants of the conference. The multi-pronged attack started within minutes of Karzai beginning his opening address to some 1,600 dignitaries gathered for the conference, known as a peace jirga, in a huge tent pitched on a university compound in the city. The Taliban, which had earlier threatened to kill anyone who took part, claimed responsibility for the attack in a phone call to The Associated Press. 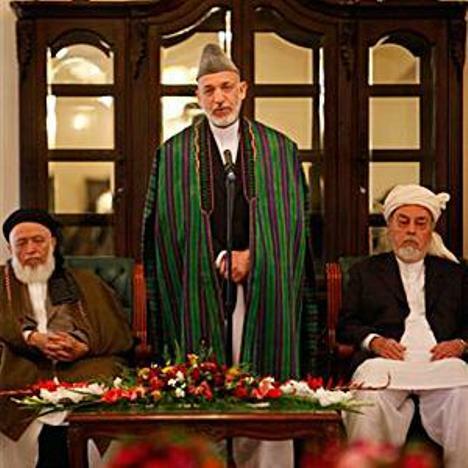 Karzai was hoping that the jirga would bolster him politically by supporting his strategy of offering incentives to individual Taliban fighters and reaching out to the insurgent leadership, despite skepticism in Washington on whether the time is right for an overture to militant leaders. Soon afterward, an AP reporter nearby heard a loud explosion and saw smoke rising from a second apparent rocket attack that struck about 100 meters (yards) from the venue. AP reporters gathered at a hotel near the venue to cover the conference via video link heard bursts of gunfire to the south of the venue. Police officer Kamaluddin said a suicide bomber detonated explosives a few hundred yards (meters) from the tent, and that shooting between insurgents and Afghan forces was being reported. The only reported casualty was the bomber. Security forces were rushing through the area and helicopters were flying overhead. Some insurgents were shot, but reports were unclear as to how many, said a spokesman for international forces in Afghanistan, Lt. Col. Joseph T. Breasseale. Interior Ministry spokesman Zemeri Bashary said Afghan forces were surrounding a house about 500 yards (meters) from the conference venue where militants were apparently holed up.